Introduction: Which historical, social and natural background might be in correlation with Chinese Medicine development? Why the ancient Chinese began to treat diseases by puncturing the body with bare needles or use herbs to relieve sickness? So far only few researchers have paid attention to these questions; most Chinese Medicine textbooks and acupuncture compendiums mention the origin of TCM as a uniform theory without much clearly identified evidence. Why did acupuncture, unlike any other healing system, appear only in ancient China and nowhere else in the classical world? Many aspects of Chinese culture, including technology, geography, philosophy and social relations, contributed to the invention and development of acupuncture. However, recent archeological findings challenge standard theory of Chinese Medicine origin. Evidence indicates that the identification of the meridians actually predated the appearance of acupuncture, and was a crucial precondition for its invention and the discovery of the various acupoints. Discussion: There is clear evidence of a shamanic culture existing in early Asian civilization, and many shamanistic practices are believed to lie at the foundation of Chinese Medicine. The earliest known text on acupuncture and acupoints is The Yellow Emperor’s Inner Classic of Medicine (c. 104-32 BC) (Huang Di Neijing黄帝内径) compiled during the western Han Dynasty 漢朝 (206 BC-24 AD). No mention of either acupuncture or acupoints has been found in any prior medical documents. 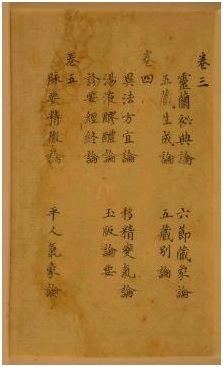 The first discussion of the meridians, however, occurs in a collection of much earlier texts, The Ancient Medical Relics of Matvangdui 馬王堆帛書(c. prior to 168 BC). Furthermore, these texts refer only to the use of moxibustion, the application of heat, along the general pathways of the meridians to stimulate the flow of Qi. They make no mention of either acupuncture or specific acupoints. This suggests that the ancient Chinese were familiar with moxibustion and the meridians well before they started to use acupuncture. Extensive further evidence, both classical and modern, exists to support this theory. Conclusion: We can clearly summarize that we can trace the origins of Chinese Medicine back to the past of shamanistic beliefs and practices, but Chinese Medicine at present develops into verified clinical practice. Balance and wholism is the core of ancient Chinese philosophy, and the theoretical basis of Traditional Chinese Medicine (TCM). It is not merely a healing art, but the expression of thousands of years of Chinese culture. Evidence indicates that the identification of the meridians actually predated the appearance of acupuncture, and was a crucial precondition for its invention and the discovery of the various acupoints. Most researches emphasize Chinese Medicine effectiveness on particular diseases at some point. Secondary interest of researchers is concern to find how TCM (Traditional Chinese Medicine) can benefit health, which conditions it can treat and how it works. Very few researches published scientific articles about TCM origins - when, and more importantly, why the ancient Chinese began to treat diseases by puncturing the body with bare needles or use herbs to relieve sickness. So far, only few researchers have paid attention to these questions; most Chinese Medicine textbooks and acupuncture practicum’s mention the origin of TCM as a uniform theory without much clearly identified evidence. On the other we have two additional Chinese Medicine theory of development such as 1. Theory of Shamanistic - Animistic origin of acupuncture & moxibustion as one of possible core philosophical explanation about TCM origin and 2. Scientific theory of identification of the meridians which actually predated the appearance of acupuncture (Figure 1) . From the very beginning, the Ancient China remained directly or closely sacrificial and its foundation was built upon sacrifice. Sacrificial elements were of utmost meaning in the ancient China. Very alike European cultures, ancient and medial China followed the evolution from blood sacrifice to non-blood, represented as it is believed “morally correct” sacrifice, and to the ethical systems, such as Taoism and Confucianism, that evolved from it (Figure 2). The status of individuals in ancient China was determined by the perceived degree of his or her association with the supernatural. In ancient China, supernatural capabilities were common to virtually all Chinese medical doctors. They all had supernatural capabilities that were all documented in medical texts. However, in most cases those abilities were not given prominent attention by most researchers. Shang dynasty 商朝 (1766-1046 BCE), sacrifice consisted in humans and animals and, to a lesser extent, wine and food, and as practiced later in Japan, tools, weapons and clothing . There is clear evidence of a shamanic culture existing in early Asian civilization, and many shamanistic practices are believed to lie at the foundation of Chinese Medicine. By the sixth century B.C., the link between shamans and the medical practitioner was clear. Confucius 孔子 (551-479 BC) is quoted as having said that “a man without persistence will never make a good shaman or a good physician” . Shamanism dates back 40-100 thousand years and is considered as oldest spiritual and healing practice known to humankind. Virtually all cultures around the world evolved from shamanic cultures (Figure 3). Most shamans begin their spiritual paths during a life-threatening illness, having a spiritual journey and communicate with the spirits and ancestors that become the source of their powers. After recovering from the illness, they go through a ceremonial practice of cleansing. Archaeological excavations have found records of the shamanistic use of divination dating from the time of Shang dynasty. In the ancient literature there were many legends about the origin of acupuncture and moxibustion such as Fu Xi's 伏羲 (god of humankind) creation of the therapy with stone needles, and Huang Di’s黄帝 (Yellow Emperor) invention of acupuncture and moxibustion. Obviously Ancient Chinese had needed to explain divine nature of Chinese Medicine creating legends of Fu Xi and Huang Di. However those two legends actually represent the clan commune of primitive society effort to explain acupuncture and moxibustion and to rise it on cultural pedestal . Originally shamans had two ways to communicate with divine ancestors: in mystical practice, involving dances and trances; and the second is the method of the oracle bones, a rational way. It is clear that the origins of Chinese Medicine extend far into the past and lie firmly rooted somewhere in the midst of their shamanistic beliefs and practices . Archaeological evidence testifies to the ancient use of acupuncture. Excavations from the Stone Age reveal that cattle bones - and, later, turtle shells - were used for medical practice as well. These “oracle bones” were drilled and heated, causing them to crack. It was the diviner’s role to interpret their meaning, or “read” these cracks. Medical advice was among the more prominent requests made of diviners. During the Shang dynasty the Chinese pictographic writing system is invented. Early character writing has developed out of the need to diagnose sickness and disease (Figure 4). 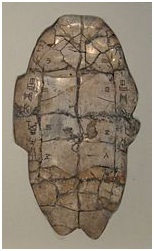 Oracle bones are pieces of bone and turtle shells that were used to divine the future for members of the royal household. It is known as scapulimancy, and it had purpose for the ruling class to seek spiritual guidance in affairs of house and the state . Method of using of oracle bones: a question was carved into the oracle bone and then bone was heated via the insertion of hot metal rods into holes carved in the back of it. Result of this action produced a series of cracks on the bone. Finally cracks would be interpreted by the shaman in order to answer to the question at hand. The shaman’s interpretation of the cracks was believed to reveal the will of the ancestors. These oracles were used as an attempt to determine the outcome of illnesses and the sacrifices necessary to bring about recovery. Sacrifice was believed to be a way of sharing divine powers and ensuring longevity. Many of the pictographs and ideographs represent disease names and symptoms. Other characters indicate early classifications of diseases by their location on the body (Figure 5). Analysis of the cracks allowed the shaman to diagnose and treat the disease. The most important cause of the diseases by shamans was the ‘curse of the ancestor’. Toothache, headache, bloated abdomen and leg pains were only different symptoms of the same disease. It should be noted that poor harvest and misfortune of war were also considered symptoms of the same disease - ‘curse of the ancestor’ . People in ancient China throughout history, believed that shamans hold magical powers and possess the ability to navigate along the “Ling Shu - 灵枢” - spiritual pivot, and the connection between the lower (hell), middle (earth), and upper world (heaven). The shaman was often called upon by the community to perform a psychodrama, make sacrifices to Shang Di 上帝, “the Highest Lord”, or act as mediator between the populace and the spirits of the other worlds . Chinese Medicine and particularly acupuncture originated from the exorcist practices of the early shamans. Several important concepts related to Chinese Medicine also appear to have emerged and developed during the time of the Shang, such as a primitive understanding of the pulse, blood and other body fluids . Additionally, the formation of the theoretical thinking of Yin Yang and the Five Elements can be traced back to this period, and the concept of the dual soul was also developed. Every living human has both the Po魄 - white corporeal yin soul, or the animal part of the soul which remains with the body after death while the Hun魂 - cloud soul is spiritual yang part of the soul, which disappears into the afterlife . Primary understanding of Shen 神, Jing 精 and Qi 氣 was held by the time of the Shang dynasty . Shen is the emotional, mental, supernatural and spiritual aspect of a human being, whereas Jing, translated as nutritive essence, sperm or seed is held to be responsible for growth, reproduction, development, sexual maturation and pregnancy. Qi is a Chinese character which represents that unknowable aspect of the universe . It has function to make things grow and transform - inter-transforms into all things - and, its early meanings seem to have been something along the lines of vitality, vapor, mist, or clouds. The meaning of Qi has changed in many ways since those early days of the Shang dynasty. When talking about acupuncture and moxibustion, the word is understood to mean ‘the relationship between the surface and the interior’. When referring to herbs and diet, it means ‘flavor and function of the herb or food'. In physical manipulation it means 'gait and posture', and in Qigong it refers to ‘one’s relationship with the rest of existence . From all the above, we can clearly summarize that we can trace the origins of Chinese Medicine back to the past of shamanistic beliefs and practices. In P.R. China, standard theory of acupuncture had its origins early in the Late Stone Age (the Neolithic Age, c. 8000-3500 BC) and developed gradually over many thousands of years through a process of trials and errors . In most acupuncture textbooks, acupuncture is described as the use of needles to penetrate and stimulate specific points on the body in order to restore normal function and energetic balance. This concept is very superficial, expressing merely the form of acupuncture and not its essence. The traumatic nature of acupuncture and its treatment protocols may appear quite crude by modern standards. We do recognize a long history in China full of various inventions and discoveries. However, if the accepted knowledge is correct, we are confronted with a great mystery. Why did acupuncture, unlike any other healing system, appear only in Ancient China and nowhere else in the classical world? I tend to believe in TCM origin which seems to be very different from standard theory of development used widely in P.R. China. Beijing University of Traditional Chinese medicine 北京中医药大学 Professor Bai Xing Hua 百姓化 introduced very different theory of acupuncture origin and presented substantial facts to prove it. Following new theory of explanation of acupuncture & moxibustion origin, invention of acupuncture & moxibustion was a great and relatively sudden invention based on theory as well as practice, which occurred in classical China, at time between 250 BC - 50 BC . The Western Han Dynasty arose over 2000 years ago. This is a substantial and considerably long time in the overall history of human civilization. However, in the context of China’s 4000 years, of recorded history, the civilization of the Western Han was actually more modern than primitive. The previous centuries had seen the blossoming of Chinese culture during the intellectual give-and-take of the Spring and Autumn (110-416 BC) and Warring States 415-221 BC) Periods, and the subsequent territorial unification of China by the Qin Dynasty秦朝 (221-201 BC) laid a foundation for the cultural integration of the diverse states. Acupuncture was one of the fruits of this rich period of Chinese history. Many aspects of Chinese culture, including technology, geography, philosophy and social relations, contributed to the invention and development of acupuncture . For example, through their work with flood control the Chinese ancestors learned to use dredging to remove obstacles and direct the flow of water through riverbeds, the channels of the Earth. This led to the realization that needling could be similarly used to remove obstructions and stimulate the flow of Qi through the meridians, the channels of the body. The holistic application of the same principle allowed the classical Chinese both to control flooding and to treat disease and disorder . This intuitive association between the channels of the Earth (the macrocosm) and the channels of the body (the microcosm), may seem strange to modern readers, but holism, the awareness that each part mirrors the whole, was one of the most fundamental principles of classical Chinese philosophy. Chinese holistic thought regards humanity, society and nature as an organic, unified whole . The human body is seen as a microcosmic image of nature. It is believed that the human and nature are similarly constituted and governed by the same laws, and that their disorders can therefore be similarly managed. The invention of acupuncture was a direct outgrowth of this holistic philosophy. Acupuncture treats disease and disorder by needling specific acupoints along the meridians in order to stimulate the flow of Qi, or life-force, through these channels. Accepted theory holds that the development of acupuncture and the acupoints preceded the identification of the meridians. It is generally believed that accidental injury and repeated empirical testing during the Neolithic Age (c. 8000-3500 BC) gradually revealed acupoints that were effective for treating various conditions . The meridians are thought to have been visualized much later as a hypothetical system linking previously discovered acupoints - connecting the dots, as it were . However, archeological findings challenge this theory. Evidence indicates that the identification of the meridians actually predated the appearance of acupuncture, and was a crucial precondition for its invention and the discovery of the various acupoints. The earliest known text on acupuncture and acupoints is The Yellow Emperor’s Inner Classic of Medicine (c. 104-32 BC) (Huang Di Neijing黄帝内径), compiled during the western Han Dynasty 漢朝 (206 BC-24 AD). No mention of either acupuncture or acupoints has been found in any prior medical documents. The first discussion of the meridians, however, occurs in a collection of much earlier texts, The Ancient Medical Relics of Matvangdui馬王堆帛書 (c. prior to 168 BC) (Figure 6). Furthermore, these texts refer only to the use of moxibustion, the application of heat, along the general pathways of the meridians to stimulate the flow of Qi. They make no mention of either acupuncture or specific acupoints. This suggests that the Ancient Chinese were familiar with moxibustion and the meridians well before they started to use acupuncture. Extensive further evidence, both classical and modern, exists to support this theory. Moxibustion, like acupuncture, treats disease and disorder by stimulating the flow of Qi through the meridians. The two healing methods are so closely related that they are referred to by a single compound word in Chinese - Zhen Jiu (针灸 needle - heat) and we translate it as acupuncture. However, the application of heat for healing is much more ancient than the use of needling . It seems quite reasonable to assume that moxibustion had its origins soon after the mastery of fire by Early Stone Age humans approximately 500,000 years ago (during the Paleolithic Age, c.2,000,000-8,000 BC), since it was at this time that humans were first able instinctively to apply warmth to relieve the pain of injury or disease (Figure 7). Moxibustion was practiced long before the identification of meridians . Moxibustion can induce meridian transmission, and that warmth is a major factor in the strength of meridian transmission. It is likely that moxibustion was the earliest method used by the Chinese ancestors to stimulate meridian transmission, harmonization of Qi and healing. In conclusion, it seems logical to assume that the therapeutic use of moxibustion led to the identification of the meridians (Figure 8). Recent researches have revealed that the use of meridians arose directly from the practice of moxibustion. lt was through the application of moxibustion that the Ancient Chinese first became aware, that the phenomenon of meridian transmission is the sensation that occurs when the flow of Qi is stimulated . Although this phenomenon, referred as deqi 得气 (obtaining Qi), is now popularly known as the ‘needling sensation’, it was actually first stimulated by heat rather than needles. The earliest descriptions of the pathways of the meridians recorded in the ancient medical documents are maps of these transmissions of Qi through the body, stimulated by the application of heat. Many methods of pain relief, including the application of heat, have developed from instinctive human reactions, and appear rational and logical . Pain releases a series of instinctive reactions, some of which were more effective than others. With developing civilization men learned to differentiate between treatments, became aware of them, remembered them and passed them on . Compared to moxibustion, acupuncture is quite traumatic and painful. It is unlikely for Chinese ancestors to be able to make this revolutionary medical innovation before clearly understanding the human body and nature. Such scientific understanding occurred around the time of the Western Han Dynasty (206 BC-24 AD). Furthermore, it would not have been necessary for them to discover the acupoints before the advent of acupuncture, since moxibustion can easily be applied to a large area or along the entire course of a meridian. Acupuncture, however, requires the identification of discrete points through which the needles can be inserted. Acupoints were therefore the final aspect of acupuncture to be developed, well after moxibustion and the identification of the meridians . On the contrary to moxibustion, puncturing the body with needles is by no means an instinctive reaction when sick or in pain. Most people do not like needles and would prefer to avoid them. Many plants and animals have taken advantage of this natural response, and evolved thorns or quills as weapons to protect themselves from attack . Needling will cause some degree of physical trauma, no matter how fine the needle or skillful the practitioner. In late 1973, fourteen medical documents known as the Ancient Medical Relics of Matvangdui 馬王堆帛書 (c. prior to 168 BC) were excavated from Grave No. 3 at Mawangdui on the outskirts of Changsha, Hunan Province . Ten of these documents were hand-copied on silk, and four were written on bamboo slips. China’s first recorded medical practitioner, Chunyu Yi known as Cang Gong (c. 215-140 BC), came into possession of a number of these medical texts around 180 BC. There is abundant evidence to show that the authors of the Neijing (Figure 9) used the Ancient Medical Relics of Mawangdui as primary references, further indicating the antiquity of the relics. The Neijing, figure 9, did not simply reproduce these earlier documents, but rather refined and developed them, and introduced new therapeutic methods. Although the therapies contained in the Ancient Medical Relics of Mawangdui are varied, including herbal medicine 中医, moxibustion 灸, fomentation 热罨, medicinal bathing, bian stone, therapy, massage 推拿, daoyin導引 (physical exercises), xingqi行氣 (breathing exercises), zhuyou (incantation) and even surgery, but there is no mention of acupuncture. This indicates that acupuncture was developed after moxibustion, and was probably not yet in existence at the time that the Ancient Medical Relics of Mawangdui 馬王堆帛書 168 BC were compiled. If generally been thought, needling therapy did indeed originate much earlier than the Neijing (c. 104-32 BC) . References to acupuncture should also be found in earlier documents such as the Ancient Medical Relics of Mawangdui (c. prior to 168 BC). However, the Relics contain no such references, indicating that acupuncture was not yet in use at the time the Relics were compiled (Figure 10). Although it might be arbitrary to infer the actual condition of medicine early in the Western Han Dynasty (206 BC-24 AD) simply on the basis of the Ancient Medical Relics of Mawangdui. The fact that these documents were considered valuable enough to be buried with the deceased indicates that they do reflect general medical practices at the time. The Historical Records 太史公書 (c. l04-91BC) by Sima Qian 司馬遷 (206 BC - AD 220) contains evidence that acupuncture was first used approximately 100 years before the Neijing (c. 104-328C) . It also contains biographies of the two earliest known Chinese medical practitioners; BianQue 扁䳍 died 310 BC and Cang Gong 苍龚. Acupuncture is not merely a healing art, but the expression of thousands of years of Chinese culture. Acupuncturists have the honor of inheriting and practicing not only a system of healing, but also the philosophy of holism. Chinese Medicine and particularly acupuncture originated from the exorcist practices of the early shamans. Several important concepts related to Chinese Medicine also appear to have emerged and developed during the time of the Shang dynasty. We can clearly summarize that we can trace the origins of Chinese Medicine back to the past of shamanistic beliefs and practices. Necessary consideration of the origins of acupuncture and promoting new scientific theory of origin of acupuncture & moxibustion reveals a chronological progression leading from the first prehistoric applications of moxibustion to the identification of the meridians, and on to the invention of acupuncture and the discovery of the various acupoints. One of the core aspects of acupuncture & moxibustion and TCM origin lies in Shamanic foundation as basis to acquire balance. Holism is the core of ancient Chinese philosophy, and the theoretical basis of Traditional Chinese Medicine (TCM). It is an abstract concept that is invisible and difficult to understand. The practice of acupuncture offers a tangible expression of this intangible idea. The insertion of needles into discrete points of the body in order to affect a distal or systemic cure embodies the holistic relationship between the microcosm and macrocosm, as well as between the upper and lower parts and interior and exterior tissues of the body. Chinese holistic thought regards humanity, society and nature as an organic, unified whole. Xinghua, Baron B (2001) Acupuncture: Visible Holism. Butterworth-Heinemann, Oxford, UK. Plutschow H (1996) Archaic Chinese Sacrificial Practices in the Light of Generative Anthropology. Anthropoetics: the journal of generative anthropology 1. Mann F (2000) Reinventing Acupuncture (2ndedn). Elsevier Churchill Livingstone, London, UK. Mann F (1973) Acupuncture: The Ancient Chinese Art of Healing and how it Works Scientifically. Vintage Books, New York, USA. Tsuei W (1989) Roots of Chinese Culture and Medicine. Chinese culture books Co, Oakland, California, USA. Zhang Y (2007) Transforming emotions with Chinese Medicine. State University of New York Press, Albany, USA. Han yu da ci dian (1994) 汉语大词典， Shanghai 上海， Han yu da ci dianchu ban she 汉语大词典出版社. Unchuld PU (2003) Huang di nei jing su wen. University of California press LTD, London. UK. Wang XT (1998) The data collection of Chinese MateriaMedica processing in the past dynasties (Ancient part). Jiangxi Science and Technology Press, Nanchang, China. Gongwang L (2006) Fundamentals of Acupuncture & Moxibustion. Huaxia Publishing House, P.R. China. Yuan P-CCiH (1980) Essentials of Chinese Acupuncture. Foreign Language Press, Beijing, P.R China. Roberts J (2009) Chinese Mythology, A to Z. Chelsea House, New York, USA. Rossi E (2007) Shen: Psycho-Emotional Aspects of Chinese Medicine. Elsevier Churchill Livingstone, London, UK. Zhangwen L (2009) Essentials of Chinese Medicine. Springer-Verlag London, London, UK. Macioca G (2015) The foundations of Chinese Medicine. Elsevier Churchill Livingstone, London, UK. Yang S (1998) The Divine Farmer's Materia Medica: A Translation of the Shen Nong Ben Cao Jing. Blue Poppy Enterprises, Inc., Boulder, Colorado, USA. Leung B (2015) Traditional Chinese Medicine: The Human Dimension. Routledge, Abingdon, UK. Kefu C (2000) Basic theory of Traditional Chinese Medicine. Peoples Medical Publishing House, PR China. Daosheng L (2000) Acupuncture - Moxibustion. People Medical Publishing House, PR China. Figure 1: Development of TCM therapies in China. Figure 2: Oracle shell with inscriptions. 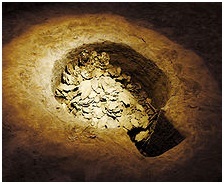 Figure 3: Oracle bones pit at Yin. 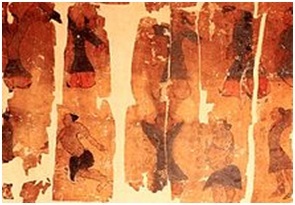 A painting on silk depicting the practice of Tao yin; unearthed in 1973 in Hunan Province, China from the 168 BC Western Hanburial site of Mawangdui. 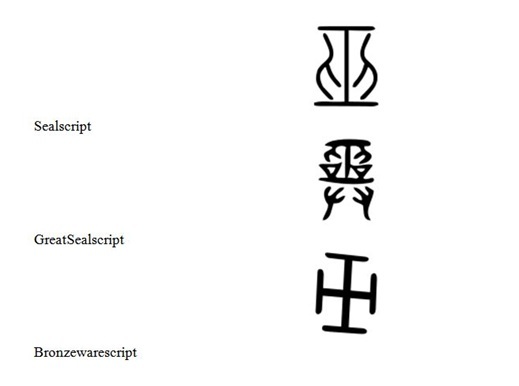 Figure 5: Ideograms of wu 巫 in different ancient Chinese script. 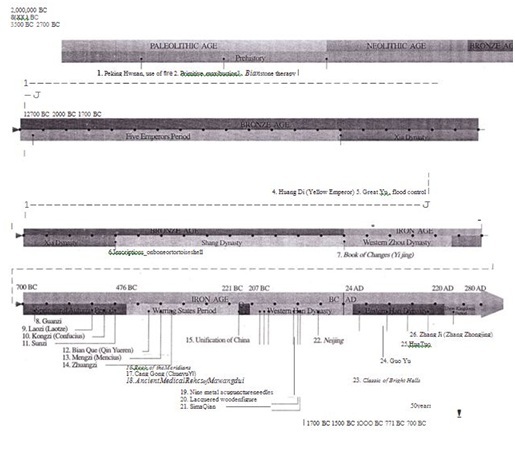 Figure 6: Reconstructed Daoyintu drawings of guiding and pulling in the mawang­dui silk texts. Figure 7: History of China. 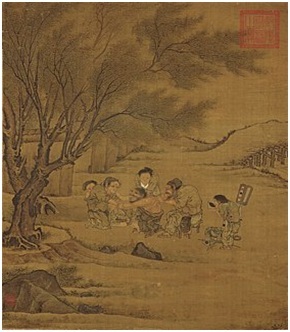 Figure 8: Moxibustion by Li Tang, Song dynasty. 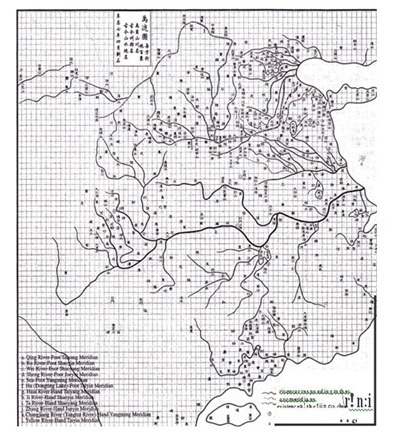 Figure 9: A digitized copy of the Su Wen of the Huangdi Neijing for online reading. Figure 10: Meridians of the Earth, the meridians of the body - the macrocosm. Citation: Micunovic I (2018) Origin of Chinese Medicine, Acupuncture & Moxibustion. J Altern Complement Integr Med 4: 054. Copyright: © 2018 Micunovic I. This is an open-access article distributed under the terms of the Creative Commons Attribution License, which permits unrestricted use, distribution, and reproduction in any medium, provided the original author and source are credited.